Nowadays, every supplement store seems to carry a wide range of greens powders and greens supplements. Are they really better than a multivitamin? What’s the best greens powder, anyway? We wanted to know, too. And after testing dozens and dozens of the best-selling green superfood brands — as well as the underdogs that maybe don’t sell as well as they should — we think we’ve figured out which of them are worth your money and which are about as effective as drinking soil. We looked for the best greens powders in six different categories, then provided a descriptive analyses behind why we chose each included in the lists below. More detailed breakdowns of our top choices per category are below in this article. When greens supplements burst onto the scene in the mid-2000s, the marketing made it look like we were witnessing the next stage in the evolution of multivitamins. They’re not just sources of vitamins and minerals; they often contain antioxidants, probiotic bacteria, digestive enzymes, and naturally-derived compounds that are linked to everything from better-functioning livers to improved mental clarity. But the biggest selling point is that benefits like these come from naturally-occurring foods. Usually, there are no isolated vitamins that have been injected into the supplement — the nutrition comes entirely from whole foods that are taken straight from the ground, sea, or tree. In most cases, the base of a greens powder is made from a combination of grasses (like wheatgrass and barley grass) and algae (like spirulina and chlorella). The rest of the ingredients could be comprised of vegetables, fruits, mushrooms, roots, herbs, leaves, stems, fiber, probiotic bacteria, digestive enzymes, royal jelly, and anything in between. Sometimes, these ingredients result in a tremendous amount of nutrition that vastly exceeds what’s offered in a multivitamin, and some greens powders can substitute for antioxidant supplements, digestive health supplements, adaptogen supplements, and natural herb supplements like rhodiola rosea or milk thistle. But sometimes, the value of a greens powder isn’t worth the tub it’s packaged into. Do Greens Powders Detoxify My Body? No. The liver is what removes toxins from your body, and neither cleanses nor juices nor eating extra vegetables will detoxify your body. However, some greens powders contain ingredients that support the body’s natural detoxification processes. The most notable and common example is milk thistle, a flowering herb that has been linked to liver health. (It’s sometimes used to help treat hepatitis and cirrhosis of the liver.) Most greens powders contain milk thistle to support using the word “detox” on their label. Can a Greens Supplement Boost My Immunity? Many greens powders do contain ingredients that are linked to a healthier immune system. In particular, most are a source of antioxidants, which protect the body’s cells from free radicals, harmful molecules that may contribute to the risk of cancer. Therefore, it can be argued that antioxidants may reduce your risk of disease. The same can be said of many nutrients that are often found in greens powders, like Vitamins A, C, E, B-6, zinc, selenium, iron, and copper. Any supplement that contains any amounts of any of these micronutrients could be said to potentially improve immunity. 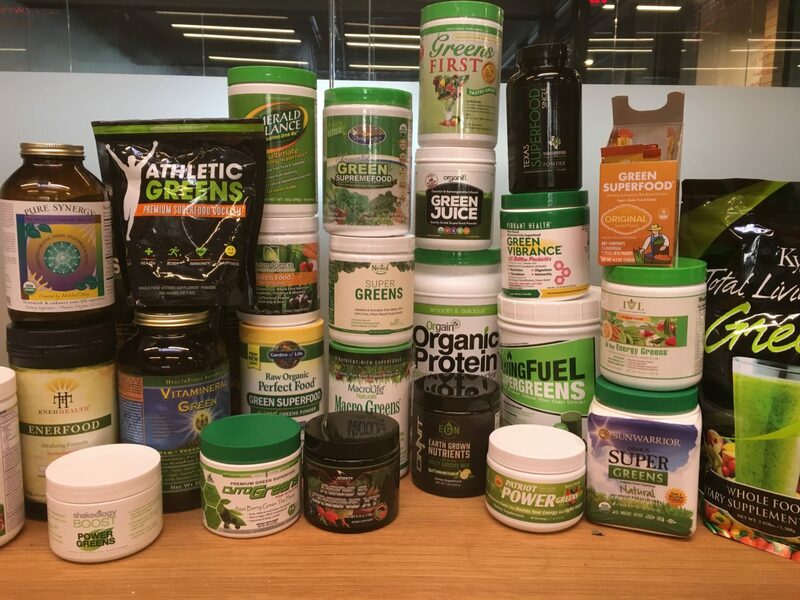 Athletic Greens came out on top as the best all-round greens powder. As you can see, it has a lot of well-quantified health benefits, and it also tastes amazing. The only downside is that at $4.23 per serving, it’s pretty expensive. It’s cheaper if you sign up for a monthly subscription, which bumps it down to $3.23 per serving. Shakeology is also an extraordinarily nutritious product that, with 17 grams per serving, doubles as a protein shake. Not only does it have probiotics, digestive enzymes, and at least 50 percent of the recommended daily intake of Vitamins A, B-12, C, D, E, K, and 30 percent of your daily calcium and iron, it has clinically effective doses of adaptogens like rhodiola rosea, ashwagandha, and various mushrooms. Green Vibrance is also very well-rounded, with very high amounts of Vitamins A, C, D, E, selenium, and chromium. It has more probiotic bacteria (25 billion) than anything else we’ve seen on the market, the labeling is very transparent (it tells you how many of each ingredient is found in a serving), and it contains plenty of roots and herbs that are linked to cognitive and immune benefits — and you visit their website, they’ll tell you all about the studies that convinced them to include them. It’s also about a quarter of the price of Athletic Greens and Shakeology, but it does have a pretty grassy, peppery taste. 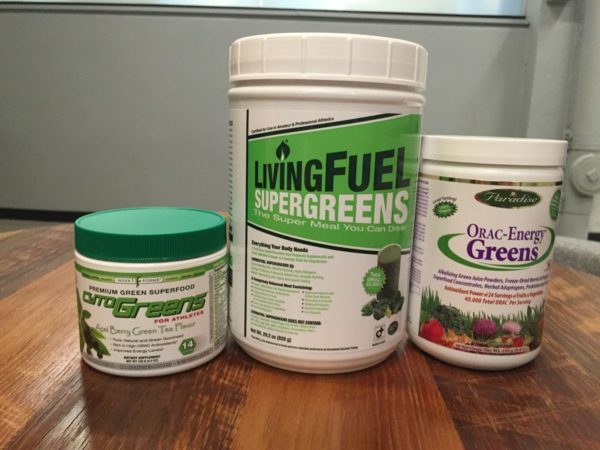 Living Fuel Supergreens came first for antioxidants, with some caveats. It’s one of the few greens powders that discloses its ORAC rating, which stands for Oxygen Radical Absorbance Capacity and is used to measure its antioxidant potency. Its ORAC rating is 82,800 per serving, which is higher than six cups of blueberries. It has a ton of micronutrients, with 8000 percent the RDI of Vitamin B12, 860 percent of your Vitamin C, and 45 percent of your daily calcium and iron. But at $5.66 per serving, it’s extremely expensive. Also, one serving size is enormous: half a cup. So while it does provide the most antioxidants per serving, it doesn’t technically provide the most antioxidants per gram or per dollar. ORAC-Energy Greens is also a good product. In terms of antioxidants per tablespoon and per dollar, it beats out Living Fuel. Its ORAC rating is 40,000 per serving, plus it throws in 1.2 billion probiotics, plenty of adaptogens, it has a very mild taste and it’s only a dollar per serving. CytoGreens for Athletes is third for antioxidants with 4,470 ORAC per serving. That’s significantly less than the top two contenders, but the ORAC scale is the only real way to quantify a product’s antioxidant content, and most products simply don’t do this. CytoGreens is also a great source of chlorophyll, adaptogens, and digestive enzymes. Green Vibrance was the clear winner for digestive health. It contains 25 billion probiotic bacteria and they’re from twelve different strains, which means they provide a wider variety of benefits and a more diverse gut microbiome. That’s ten times more probiotics than most of their competitors, and it also has six kinds of digestive enzymes. It’s also very nutritious, with 250 percent of the RDI of Vitamin D3, 80 percent of your Vitamin C, 70 percent of your selenium, 60 percent of your vitamin K, and 40 percent of your Vitamin B12. It doesn’t taste great — kinda grassy — but at $1.08 per serving, it’s worth it. MacroLife Naturals’ Macro Greens comes in second with 18 billion probiotics per serving from five strains, plus four kinds of digestive enzymes. LivingFuel SuperGreens is third, with 7.5 billion probiotics per serving from three strains and seven kinds of digestive enzymes, too. Shakeology, from Beach Body, doubles nicely as a protein shake and a greens powder. One scoop has 17 grams of protein and 17 grams of carbohydrates, as well as 100 percent or more of your daily Vitamins A, C, B-6, B-12, and manganese. It also has enormous amounts of Vitamins D, E, K, folic acid, calcium, and iron. In addition, it contains adaptogens, which are said to improve exercise recovery. The downside is that at $4.33 per serving, it’s expensive. 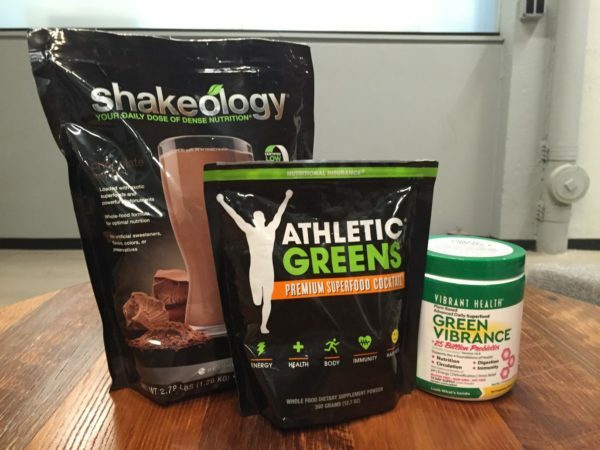 Shakeology also upsells their product with “Boosts” like Digestive Health and Power Greens. These aren’t worth the money; they increase the serving cost to $7.08 and they add ingredients that are already in Shakeology, like probiotics and greens. Just stick with the regular Shakeology, it’s more than enough. 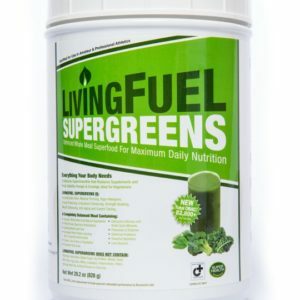 Living Fuel Supergreens is a great alternative that’s also vegan (unlike Shakeology, which contains whey). It has more protein, calcium, iron, and Vitamins A, C, E, and B-12 than Shakeology. However, it’s even more expensive and it doesn’t taste as good. Novaforme’s CytoGreens for Athletes is, as the name suggests, targeted specifically at athletes. This is a more traditional greens powder that doesn’t provide a lot of protein per serving, but it’s a little cheaper (around $2 per serving) and contains a lot of antioxidants, probiotics, and chlorophyll. It also claims that it’s been shown in clinical trials to help reduce muscle soreness and increase stamina in athletes, but we couldn’t find the actual studies. All Day Energy Greens has a mixed berry taste with undertones of grape and carrot, and it was the best-tasting we tried. It’s also a very effective product in and of itself, full of Vitamins A, C, D, K, folic acid, and B12, plus it’s very cheap. Greens First has a pretty terrific spearmint taste if you don’t like the taste of berries or creamy, tropical things. MacroLife’s Macro Greens Superfood has the most bang for your buck. It costs just 72 cents per serving, one of which delivers a huge 18 billion probiotics from five different strains, four kinds of digestive enzymes, 720 percent of your daily Vitamin C, 330 percent of your Vitamin E, 50 percent of your B12, and 8 percent of your iron. Given its ingredients list, which includes an antioxidant blend and various seaweeds and grasses, it’s probably high in antioxidants too, though it’s not quantified. It also contains a lot of adaptogenic herbs and it tastes great. Sun Warrior’s Ormus Super Greens is 55 cents a serving, provides 2 billion probiotics from seven strains, is completely organic, and it contains plenty of the wheat grass, oat grass, and barley grass that most people want in a greens powder. However it doesn’t taste great, and isn’t particularly high in vitamins and minerals. Amazing Grass is the absolute cheapest greens powder we found, at 52 cents per serving. It didn’t taste terrible and it was a decent source of Vitamins A (25 percent of your RDI), C (57 percent), K, (88 percent) and iron (8 percent), plus it contained digestive enzymes, prebiotics, and probiotics for digestive health. The downside was it didn’t quantify its probiotic content or its antioxidant content. Athletic Greens was our favorite greens powder for weight loss, and here’s why. Firstly, greens powders aren’t weight loss supplements and shouldn’t be used as such, but many do have ingredients that have been linked to weight loss. The most promising ingredients that are typically used in greens powders at levels that are likely to be the most effective are probiotic bacteria and chlorophyll. Athletic Greens has the best balance here. CytoGreens for Athletes is a good pick as well, since one serving contains twenty-one times as much chlorophyll as a serving of dark, leafy greens. However, it doesn’t contain any probiotic bacteria, so it’s not maximizing its effectiveness in this regard. 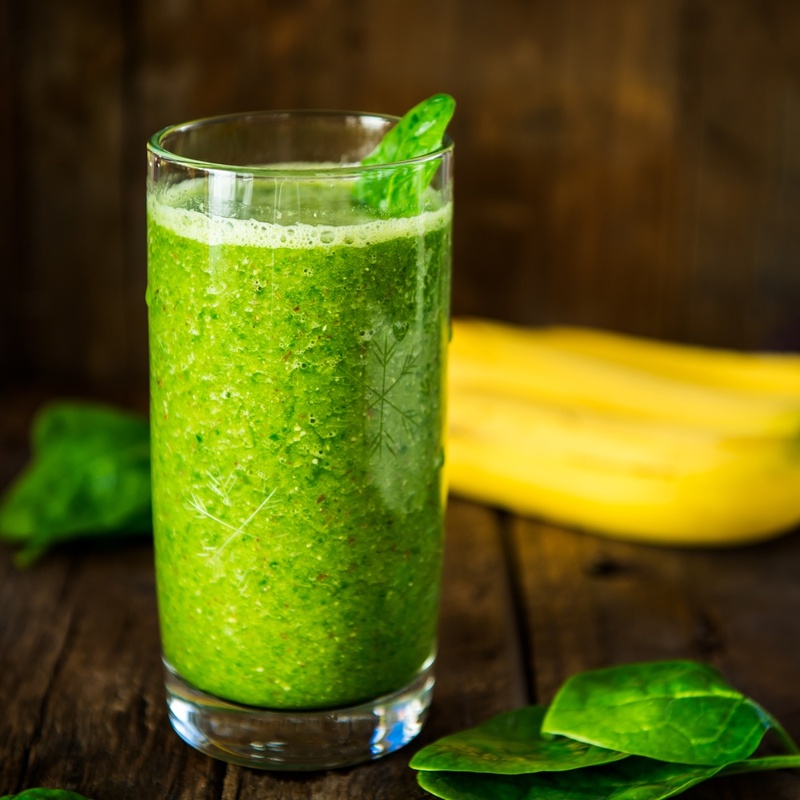 Vitamineral Greens came third for weight loss, as it’s very high in chlorophyll – one serving contains roughly 5mg of spirulina, chlorella, and the juice of several kinds of grass. It contains 15mg of probiotic bacteria too, though there’s no information as to how many bacteria that weight signifies. It wasn’t easy reviewing all of these greens powders. Many, many, many of them use deceptive marketing tactics and offer a subpar product. But after digging through a lot of muck, we’ve uncovered some truly excellent supplements. We think you’ll be as impressed with them as we were.